There’s no cosmetic shop nowadays, there’s no market out there that doesn’t sell any cosmetic item from L’Oréal. 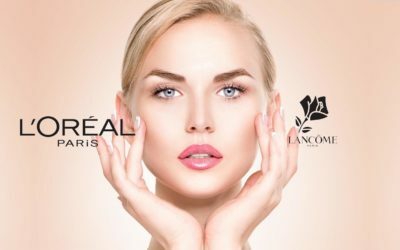 The famous brand was born in France a bit after 1900 and has been developing various products in cosmetics, going from hair color products, skin care, sun protection to make-up, perfumes and hair. L’Oréal doesn’t just create products for the cosmetic field, but it also developing research in tissue engineering, toxicology, dermatology and biopharmaceutics in its own research laboratories. 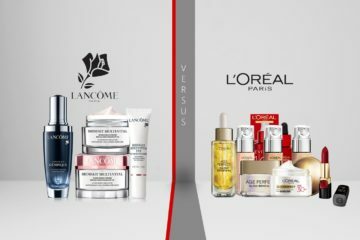 In order to stop animal testing its products, L’Oréal has created Episkin, a reconstructed skin model which provides an alternative to traditional testing. L’Oréal still has its main headquarter in France, where it’s placed also the world’s largest hair salon. No less than 90 hairdressers are testing the hair products of the company within that hair salon. This brand is at the moment the no.1 nanotechnology patent holder in US and it works continuously on creating products with minimized environmental impact. One of the best sellers from L’Oréal in the skin care area, is Youth Code Rejuvenating Anti-Wrinkle Super-Concentrated Serum. 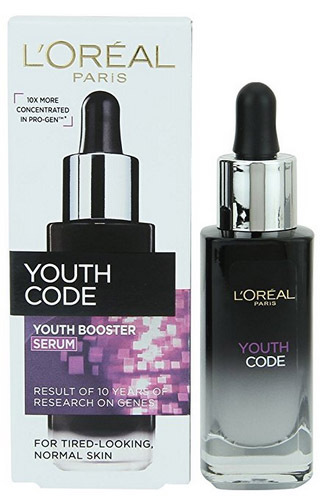 Youth Code Anti-Wrinkle serum of L’Oréal contains Pro-gen technology ten times higher in concentration which means the serum gives back the skin its youth, softness and luminosity. 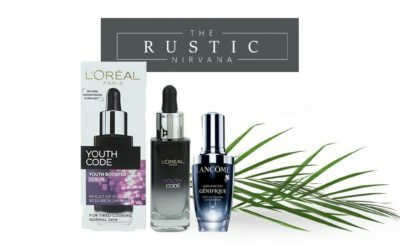 You only need to take few drops of L’Oréal Youth Code Rejuvenating serum to give your skin a soft, hydrated and fully nourished feeling. The serum gets instantly into the skin and leaves a nice, subtle, lemon scent. The hygienic dropper makes it easy to use and the elegant glass bottle looks nice on your counter, though it needs careful handling. Another great product for the day care of your neck and face is L’Oréal Paris Advanced RevitaLift Face and Neck Day Cream. This is also anti-aging as it reduces the wrinkles and gives back firmness to your skin. You need to use this twice a day for better results, which come mostly in the moisturizing area and not that much when it comes to wrinkle lifting, according to some customers. 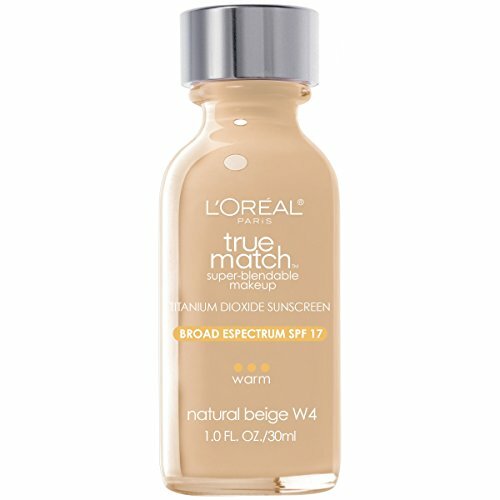 As for the makeup products, for a full coverage, you can try L’Oréal Paris True Match Super Blendable Makeup. 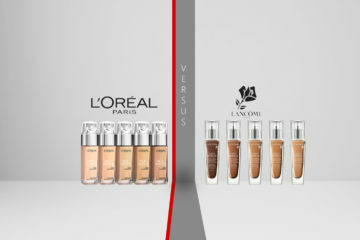 This is a light buildable foundation, that comes in many shades and covers any red spots, blemishes and dark spots also. Easy to blend, not heavy on the skin, this foundation is quite long lasting, but is not great when it comes to transfer. 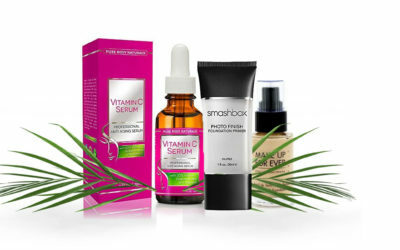 The world of cosmetics simply loves serums for their efficiency and texture, therefore L’Oréal has created Visible Lift Serum Absolute Advanced Age-Reversing Makeup. This foundation evens skin tone, gives a light coverage and lasts all day. 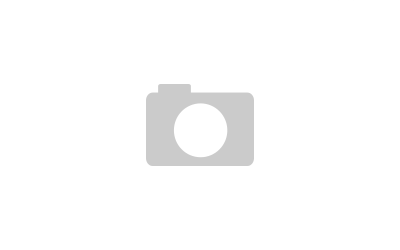 It contains 5 advanced skincare ingredients highly efficient in fighting the aging symptoms. Add the SPF17 and you get the perfect summer foundation. If the matte look is your thing, then go with this L’Oréal Paris Cosmetics Infallible Pro-Matte Foundation Makeup. This foundation helps your skin to be shine and oil free. The buildable, light texture of the foundation makes it easy to apply for a great coverage with no settle in dry patches. The foundation is fragrance free and has oil-control properties. You can wear all day long with no worry about transfer either. 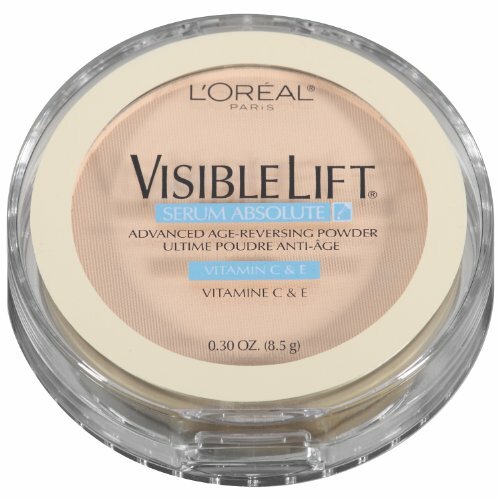 L’Oréal gives great products for so many areas in the beauty care field and gets only good words from its customers. They are satisfied for the quality they pay for and know that, for this kind of money, it’s the best. 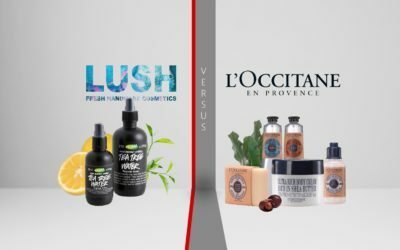 The limits come from the ingredients, the packaging, as L’Oréal doesn’t pamper its customer as the luxurious cosmetic manufacturers do!